Serena Williams is one of tennis' most stylish stars, and at the 2018 U.S. Open, expect her to make an even bigger splash than usual. Serena Williams' new her Nike campaign. “When I first tried on the dress, I felt very strong and feminine at the same time. It has all the really strong elements, from the leather to that really cool stretchy material," Williams told Vogue. "I felt so feminine in the tutu, which is probably my favorite part of it. It really embodies what I always say: that you can be strong and beautiful at the same time." 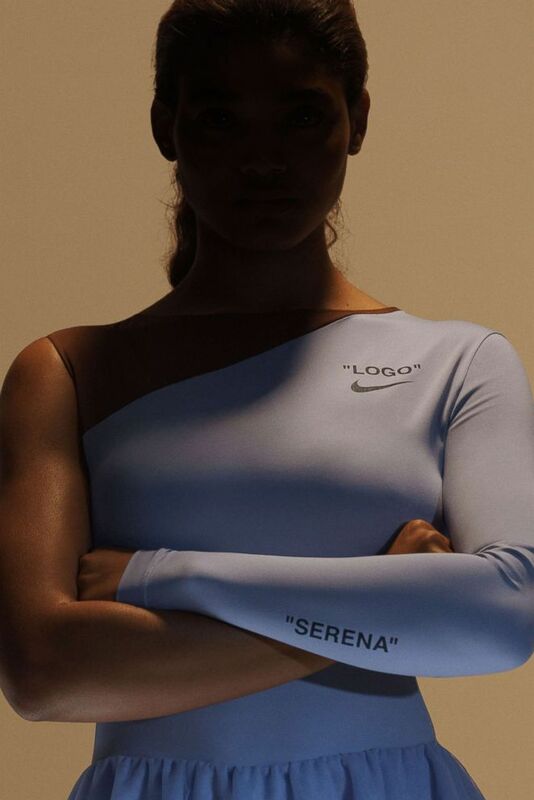 Nike stated in a press release that Abloh and the NikeCourt team met in Paris to discuss what Williams' performance dress might look like, and then Williams chose elements that she liked best. One inspiration? The tennis champion's love of dance and ballet. Abloh sees similar themes in tennis. "What I love about tennis is the gracefulness. It's an aggressive and powerful game, but it takes touch and finesse," Abloh said in the press release. "So the dress is feminine, but combines her aggression. It's partially revealing. It's asymmetrical. It has a sort of ballerina-esque silhouette to symbolize her grace. It's not about bells and whistles and tricks. It's just about it living on the body, and expressing Serena’s spirit with each swing of the racket." Williams is also excited about wearing an outfit that "is so different for tennis" -- and of course, living out her fantasy of wearing a tutu. "I have never worn a tutu. Every girl loves a tutu, or at least I do!" she said. "It’s always been my dream to wear a tutu, and I can’t wait to wear it on court."